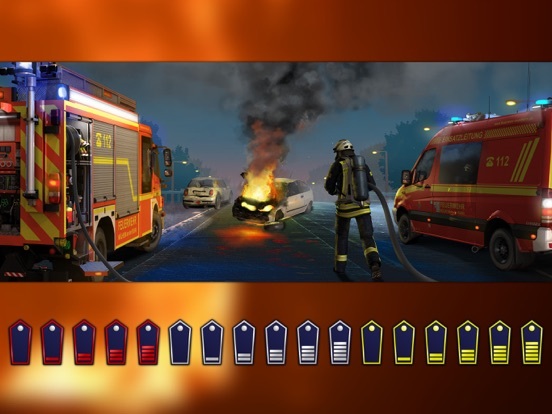 "Emergency Call 112 - The Fire Fighting Simulation" was developed in close cooperation with the Fire department in Mülheim an der Ruhr, Germany. 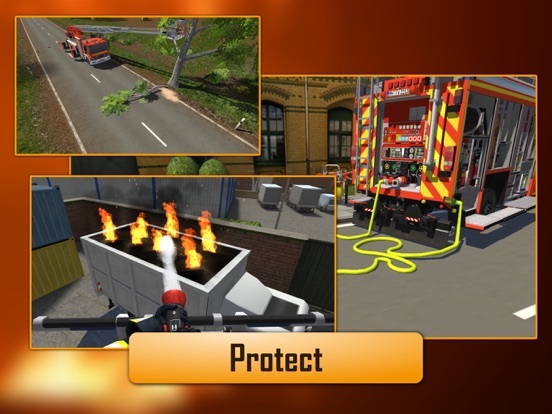 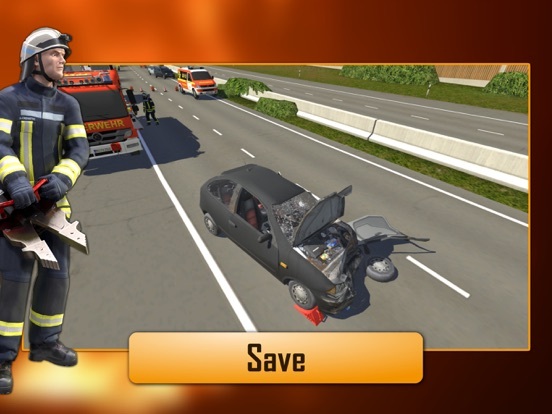 Player tasks are based on real fire fighting operations and have been optimized for mobile devices. 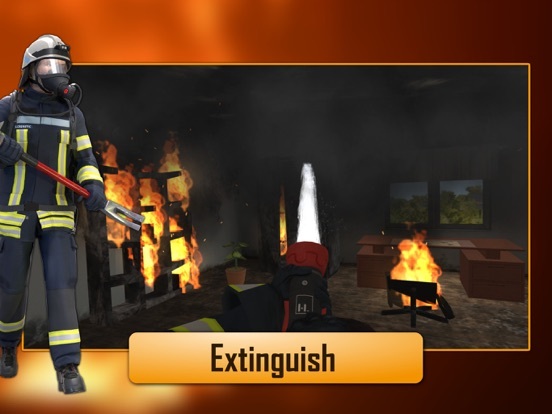 No matter whether it is a deployment journey with flashing blue lights or fighting fire with the hollow jet nozzle, all missions can be played without expert knowledge. 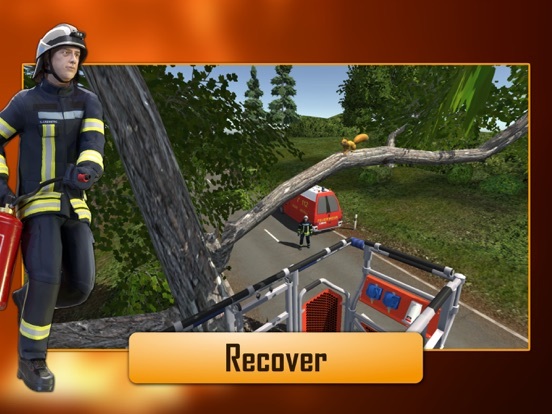 Missions are divided into small and large mini-games and include informative, intermediate animations.